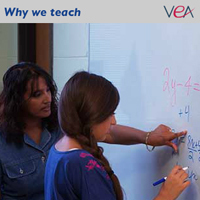 The Virginia Education Association (VEA) is a professional association for teachers and education support professionals with about 40,000 members. 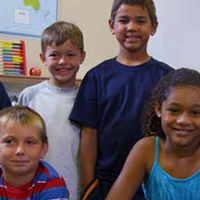 It serves to lobby for funding and support of teachers and public education, and to provide localized services to members in their districts. 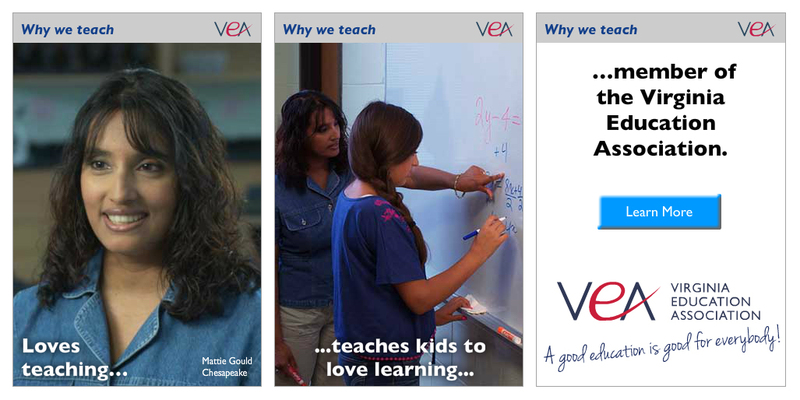 In 2013, and again in 2014, the VEA applied for a national grant from the National Education Association (NEA) to support a marketing campaign intended to increase awareness of the VEA, as well as public education in Virginia, in general. The NEA was requiring pre- and post-campaign market research to gauge the success of the campaign. We assisted with the writing of the actual grant, supplying valuable market demographics and a detailed media and communications strategy that really helped give context to the request. 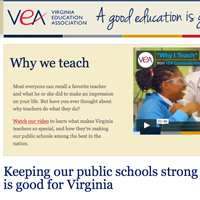 Through our pre-campaign research, we discovered that the message that strong public education in Virginia builds strong communities really resonated with our audience, so we built our messaging strategy on that concept. 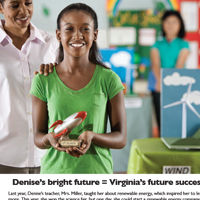 Our campaign featured the tagline, “A good education is good for everybody,” using radio, print and online advertising across the commonwealth, plus a website and short video. In 2013, the campaign ran from September through mid-November, and proved to be successful in its goals. 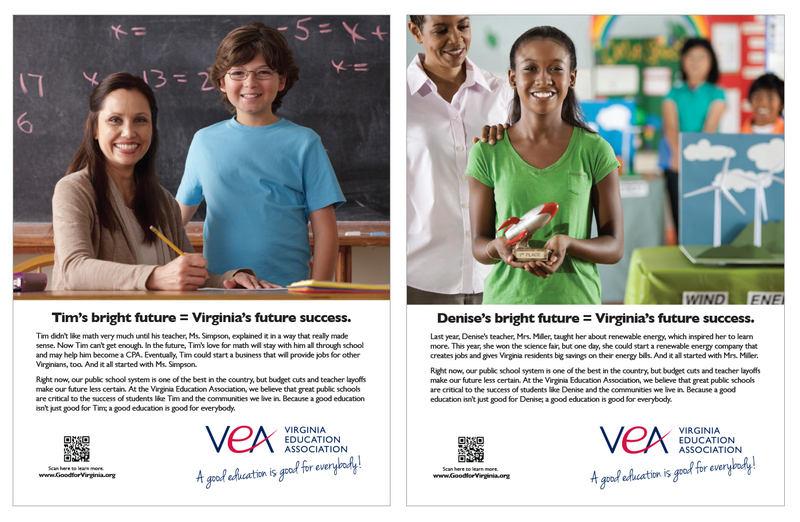 Among other insights, our pre- and post-campaign research showed that awareness of the VEA improved from 22 to 31 percent, and that 63 percent of those surveyed had favorable perceptions of public education in Virginia (up from 47 percent three months earlier). During the 2014 school year, we ran two flights of media, adjusted based on our findings from the 2013 campaign—one in August/ September and another in January/February. The 2014 campaign also included a strong social media push, with daily posts of content, video and links, plus Facebook advertising. 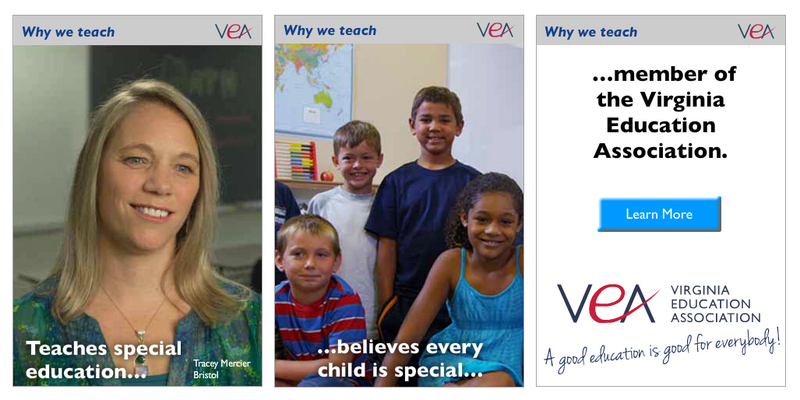 Our post-campaign research proved that VEA awareness continued to climb—up from 31 percent to 34 percent since our last survey in December 2013, and that favorable perceptions of public education in Virginia rose to 65 percent. 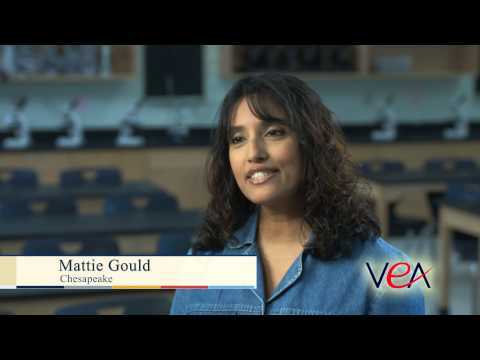 VIDEO: "Why I Teach" VIDEO: "Why I Teach: Mattie Gould" VIDEO: "Why I Teach: Tracey Mercier"